Best Buy Reward Zone members can reserve the Samsung Fascinate on August 27. Presale for general public begins August 29. Best Buy Mobile today announced the Verizon Wireless Samsung Fascinate™ is available for pre-order starting August 29. As an added and exclusive bonus, Best Buy Reward Zone members can reserve the Samsung Fascinate on August 27, two days before it goes on pre-sale to the general public. That priority access will help ensure that Reward Zone members get their device first. Pre-orders can be made by visiting any local Best Buy or Best Buy Mobile standalone store. Pricing and launch dates for the Samsung Fascinate, which is a member of the Galaxy Series, will be announced soon. 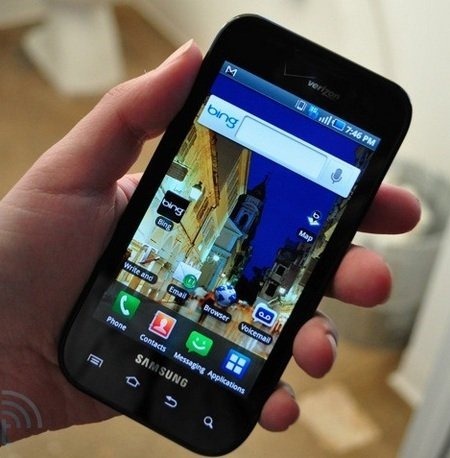 The Fascinate boasts many new features such as the brilliant four-inch Super AMOLED display, HD video recording, and 1GHz processor running the Android 2.1 operating system. Best Buy offers the most smart phones under one roof and continues to cement its role as the smart phone destination for consumers. With an assortment that already includes the full line of Samsung Galaxy phones, as well as the iPhone 4, HTC EVO 4G and Blackberry Torch, among others, customers can research and compare all of their options across carriers, operating systems and features. And they can view a full range of accessories for all smart phones. At Best Buy Mobile, consumers can compare the latest devices from popular carriers and plans in store or online. For more information on the Samsung Fascinate, and other smart phones available at Best Buy, visit www.bestbuy.com/mobile.